For thousands of years, we’ve attempted to look into the future. It’s humankind’s lust for answers before we may even know the questions. Whether using crystal balls, tea leaves, or company valuations, we look at the signs and define tomorrow. Rarely are any of these methods right. Currently, the holy grail of the automotive world is the autonomous vehicle. (Previous holy grails have included electric starters, direct injection, and hydrogen fuel cells.) If and when the AV does arrive, it will dramatically change the cultural touchstone in America that the car once was. Instead of encouraging people to participate in the Dream Cruise we will offer them pleasant dreams while cruising. News accounts are filled with hopeful stories of an automated world where we can text our status updates from the backseat of some self-guided pod summoned by our phones and avoid awkward conversations with college-aged Uber drivers or a Pakistani with a hack license and a dashboard vial of some sickly sweet oil. Freedom will be defined by solitude of the backseat. 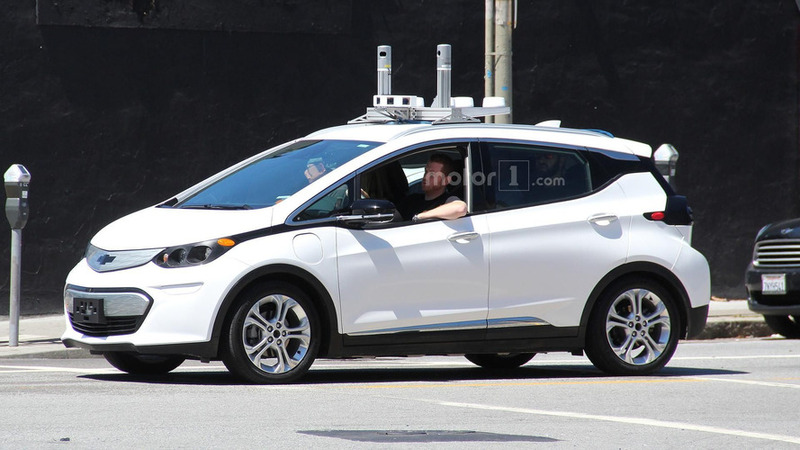 Carmakers, technology companies, carmakers pretending to be technology companies, and many others have held innumerable press conferences to announce when their fully autonomous vehicles will start hitting the streets. 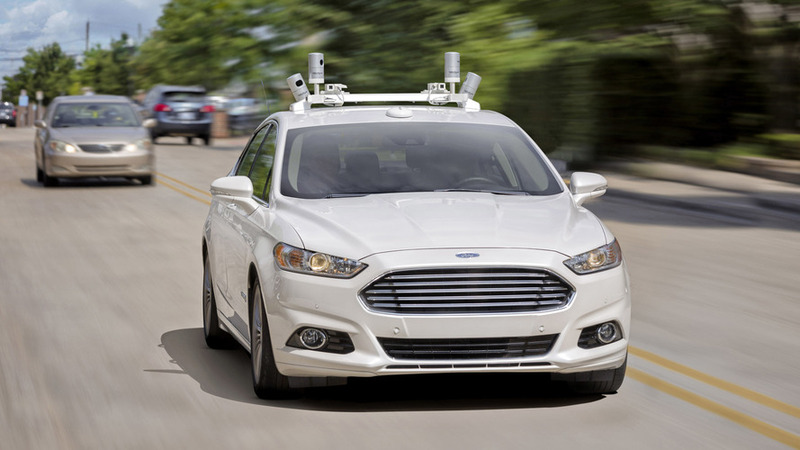 Last week, Ford announced it would have its fully autonomous vehicle ready by 2021. It’s unclear what that will be and maybe Ford doesn’t really know yet. Will it be a Johnny Cab from Total Recall or something more like the vehicle John Spartan took to Taco Bell in Demolition Man? Will it be a Johnny Cab from Total Recall or something more like the vehicle John Spartan took to Taco Bell in Demolition Man? Fields isn’t alone. Volkswagen wants its self-driving vehicle on roads by 2019. General Motors is shooting for 2020. BMW is thinking 2021. And, of course, Tesla thinks it will have the technology ready by 2018 – and it offers an Autopilot feature on its cars right now, though it reminds drivers that the system is not actually an auto pilot and really nothing worth losing your head over, yet. So what are the real perks of this driverless world? Why are we in such a hurry to get there? 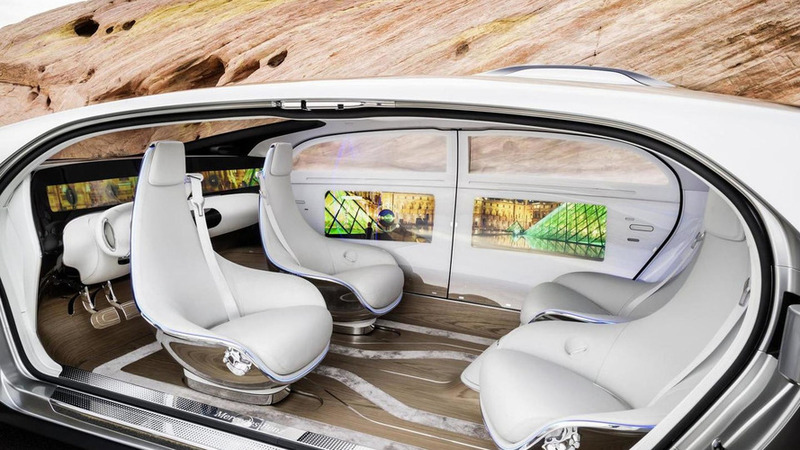 And if you call shotgun in a driverless car, where do you sit? Rebecca Lindland, the super-savvy analyst and automotive genius at Kelley Blue Book, says one of the perks will be safety. That could mean just 4,000 annual deaths due to automobiles in America instead of 40,000. That’s good news. Hopefully road rage will drop as well, though Facebook posts will likely increase, so let’s call that a wash.
Down the road, so to speak, self-driving cars could improve traffic flow, eliminate traffic lights, and even eliminate road signs as those would no longer be needed. The car knows what it’s doing, where it’s going, and how it’ll get there. I don’t know if that means we’ll become less dependent on self-driving vehicles or more dependent. Hopefully road rage will drop as well, though Facebook posts will likely increase, so let’s call that a wash.
Dave Sullivan, an industry analyst and curmudgeon-in-a-very-good-way at AutoPacific, says that automated vehicles will provide new mobility to an aging boomer population and carmakers want more than bragging rights at creating it. Sullivan added that he’s been surprised there have been few collaborative efforts to date. Everyone appears to be developing their own systems without regard to others, hoping they end up holding the magic formula that everyone else will have to buy. Lindland, on the other hand, said that eventually there will have to be some sort standardization of things such as vehicle-to-vehicle communication, location devices, and other technologies that could create severe winners and losers. The original Tesla, the namesake of the carmaker, knows all about losing those battles. Really, the only losers will be people who enjoy driving. But that’s a small group and their needs may be met at weekend track events and other venues. Nostalgia is never a good reason to protest the future. And the AV future promises crazy hopeful things. Mobility to the immobile. Multiple people could own the same car, lowering overall ownership costs. (I don’t think this will actually happen.) You could use your vehicle to get to work and then program it to go out and get some fares – meaning instead of downtime parked, it could be working for you. Really, the only losers will be people who enjoy driving. There are also issues concerning space. As the world continues to urbanize itself and move into loft apartments in the big city, transportation issues become more difficult. Self-driving vehicles could help solve these problems. Self-driving semis could deliver all of the goods self-driving combines harvested. Frankly, it sounds like everyone will just be sitting around, not doing much. Self-driving vehicles would be much more efficient than humans and, when we think about them, they’re always electric, so they’re greener. Perhaps the rush to a driverless world is justified as everyone rightly reaches for the newest technological chalice. Many of the systems are already in place, ranging from adaptive cruise control and blind spot detectors to cheaper radars and lidars – the AV’s future definitely looks bright. But even if the technology has arrived, it’s going to be decades before the roads are littered with self-driving personal pods taking everyone to Taco Bell. There’s testing and regulating and deciding what to do with all of those people who like to drive. Perhaps an automotive Logan’s Run can take place, letting everything over 30 drive off into the sunset. There is no crystal ball that will reveal a direct path from here to there. There is no stock price that will correctly predict who will lead us. There’s only the dream of it all and how it will change the world. I can’t wait for tomorrow, but will still enjoy today. Scott Burgess has covered the auto industry for more than a decade as The Detroit News' auto critic and as Detroit Editor at Motor Trend. Before writing about cars and the people who make them, he was a newspaper journalist, where he covered everything from small town politics to the wars in Afghanistan and Iraq.